Below is Romney’s response (in the blockquotes, my comments are in normal text) to the Science Debate 2012 question on climate: The Earth’s climate is changing and there is concern about the potentially adverse effects of these changes on life on the planet. What is your position on cap-and-trade, carbon taxes, and other policies proposed to address global climate change—and what steps can we take to improve our ability to tackle challenges like climate change that cross national boundaries? Romney: I am not a scientist myself, but my best assessment of the data is that the world is getting warmer, that human activity contributes to that warming, and that policymakers should therefore consider the risk of negative consequences. Dan Moutal: Yes. No complaints here and it is a welcome change from when not so long ago Romney said “My view is we don’t know what’s causing climate change on this planet.” We do and it’s us. However, there remains a lack of scientific consensus on the issue — on the extent of the warming, the extent of the human contribution, and the severity of the risk — and I believe we must support continued debate and investigation within the scientific community. Perhaps technically correct if one wants to be extremely generous. But that is probably more generosity Romney deserves. I would disagree strongly with that there is no consensus on the extent of warming. There is, it was even confirmed by a Koch funded study. Also there is very good agreement on the extent of the human contribution (or at least on a fairly narrow likely range). On the severity of risk the level of agreement seems still significant but the range is wide enough that it probably is not quite a consensus. More importantly this statement is vague enough to be meaningless. It gives Romney enough wiggle room to claim to be (vaguely) consistent with mainstream climate science while at the same time not (completely) offending his tea party supporters. Wiggly politicians make me nervous. Ultimately, the science is an input to the public policy decision; it does not dictate a particular policy response. Again correct, but vague enough to be meaningless. President Obama has taken the view that if global warming is occurring, the American response must be to slash carbon dioxide emissions by imposing enormous costs on the U.S. economy. Well no. Somewhere along the line from interesting discussions amongst scientists all the way to policy proposals the costs of unmitigated climate change were considered. This, no doubt, played an important role in deciding that a policy response was indeed appropriate. First he tried a massive cap-and-trade bill that would have devastated U.S. industry. When that approach was rejected by Congress, he declared his intention to pursue the same course on his own and proceeded through his EPA to impose rules that will bankrupt the coal industry. Never mind a little thing called the clean air act and a few people in the supreme court who mandated the EPA regulate GHG emissions. Nowhere along the way has the President indicated what actual results his approach would achieve — and with good reason. The reality is that the problem is called Global Warming, not America Warming. China long ago passed America as the leading emitter of greenhouse gases. Developed world emissions have leveled off while developing world emissions continue to grow rapidly, and developing nations have no interest in accepting economic constraints to change that dynamic. No one suggests that the United States (or any single country) can combat global warming alone. The general idea with implementing some sort of policy domestically is to lead the way. Something about leadership in the global community. Does it not make sense for the rich countries, who disproportionately caused the problem, to take the lead and pave the way for those countries who still struggle to feed their citizens, and who will disproportionately face the costs of unmitigated climate change? In this context, the primary effect of unilateral action by the U.S. to impose costs on its own emissions will be to shift industrial activity overseas to nations whose industrial processes are more emissions-intensive and less environmentally friendly. That result may make environmentalists feel better, but it will not better the environment. This exporting of emissions was widely predicted outcome by opponents of the carbon tax here in British Columbia. Several years in and so far this horror hasn’t yet happened. In fact BC’s GDP has grown faster than the Canadian average since the introduction of the Carbon tax in 2008. No doubt if British Columbia were to continue to increase its carbon tax then at some level of taxation a significant amount of emissions would be exported. But the tax would have to be much higher than the current $30/tonne. Presumably British Columbia is not a special case and the US could price carbon at a similar level without any significant harm to the economy. So I oppose steps like a carbon tax or a cap-and-trade system that would handicap the American economy and drive manufacturing jobs away, all without actually addressing the underlying problem. Ok I guess not. So how will Romney address the underlying problem? If the United Sates wont lead on carbon pricing how do we get countries like China on board with emissions reductions? Economic growth and technological innovation, not economy-suppressing regulation, is the key to environmental protection in the long run. So I believe we should pursue what I call a “No Regrets” policy — steps that will lead to lower emissions, but that will benefit America regardless of whether the risks of global warming materialize and regardless of whether other nations take effective action. No-regrets polices make perfect sense, and no one really opposes them (well almost no one). But will they be able to lower emissions enough? My understanding is that they wont be enough. At some point (sooner rather than later if we want a chance at a decent outcome) something more will be required. 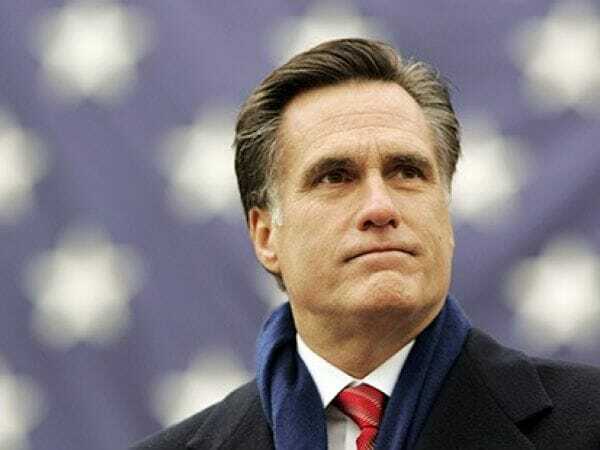 What does that ‘more’ look like for Romney? For instance, I support robust government funding for research on efficient, low-emissions technologies that will maintain American leadership in emerging industries. I hope Romney is serious, but his party’s record makes me skeptical. Remember these proposals from last year? A 30 percent cut to the Energy Department’s Office of Science, which funds basic scientific research. Cuts of $873 million from energy research and $886 million from the 10 national labs that operate the nation’s heavy-duty physics facilities. Prohibiting the National Oceanic and Atmospheric Administration from funding a Climate Service, part of a $338 million cut to NOAA research that would track global warming and monitor the Gulf of Mexico’s health. Cuts about $4.4 billion from the NSF which would have been used in basic research. Cutting funds from all federal science agencies, such as NSF, NIST and the Centers for Disease Control and Prevention. And I believe the federal government must significantly streamline the regulatory framework for the deployment of new energy technologies, including a new wave of investment in nuclear power. Again without specifics Romney is wiggling much more than I am comfortable with. Inefficient and over burdensome regulations can be a huge problem, but never forget that many regulations are in place for a reason. Often times streamline the regulatory framework is political code for getting rid of any rules my campaign backers don’t like. Though I might be over sensitive right now since that is exactly what the Canadian government is up to. The point is that making sure regulations are as streamlined as possible is a good thing and there is always room for improvement in that regard. But lets remember that there is a very good reason why nuclear reactors are burdened with so many regulations. These steps will strengthen American industry, reduce greenhouse gas emissions, and produce the economically-attractive technologies that developing nations must have access to if they are to achieve the reductions in their own emissions that will be necessary to address what is a global issue. Reduce GHG emissions by how much? In what time frame? Earlier Romney said “Nowhere along the way has the President indicated what actual results his approach would achieve” So what will Romney’s plan achieve? Ultimately Romney’s answer does not give me great confidence that he will do anything to reduce GHG emissions (not that Obama has done much). I do, however, recognize that Romney has a political base that is hostile to the idea that climate change is a problem, and while I don’t think this is likely, it is possible that Romney will change his tune on climate change if he is elected president. If that happens I will proudly were the egg on my face. It is widely stated (I don’t know how correctly) that about US$670—1340 billion per annum would suffice to mitigate. The US ‘national defense posture’ costs, per annum, in that range. So we could, if we understood that there is basically no need for (much) ‘national defense’ and there is a need for such a massive climate change mitigation, spend (almost) all of what is required on our own, keeping the federal deficit close to what it is now. So Americans could indeed do it alone; probably many other states would join in to some extent. Fair enough, but getting action on climate change is hard enough without having to also convince people that there is little need for national defence. Dan. William, I actually think you’re both being too hard on him. After the contemptible laugh line at the convention, this is surprisingly reassuring. First of all, he has dismissed the “hoax” business altogether. While I’m very tired of the “partially” business about climate change (human activity dominates the changes in the earth’s surface; this is a fundamentally new geological era) I also recognize that it is possible to move in a positive direction without really ratifying IPCC. It remains true that it is a global problem requiring a global commitment. That Romney should emphasize this is not entirely to be read as an excuse for inaction. It also allows for an agreement between the US and China. In fact, if the US and China agree on a workable formula, that may be enough momentum that the rest of the world would have to sign on. And while there is a great deal to be said against Romney, (see Eli for a particularly impressive version, and by the way Eli is on a real tear these days) you have to give him credit for being able to spin his way into and out of anything. What a man like Romney says has to be read tactically, not substantively. He has left a path open for a global treaty starting with treaty with the Chinese. He has left a path open for vigorous pursuit of renewables. He’ll have a hell of a time selling getting it past his party, but he is hinting that he wouldn’t object. The worst thing about Romney, besides perhaps the ascendancy of know-nothinginsm in his party, is that we have no idea what he believes, if anything, except for his obvious loyalty to the billionaire sector. But this is far from what Inhofe wanted to hear, and that matters. Of course it is also just tacking toward the center. He did leave some options open for himself and I hope (and I know you do to) he takes them. I just don’t think he will but I desperately want to be wrong. I am, however, coming to the slow realization that it will take a conservative to push through real climate legislation in the US, if only because I don’t think a liberal will be able to convince the millions of self-identifying conservatives that doing something to reduce emissions is worth doing. I just don’t see Romney being the one to do it. Again I would love to have to eat these words if he gets elected. You’re far too generous to Romney, though I do understand that he’s boxed in and doesn’t have much room to move. You could have rebutted many of the points with hard data. For example, climate action from the US would be *far* from unilateral action. The US is the laggard among nations. When they finally take action, they’ll be like Richard Muller, struggling to catch up to where the world was 10 years ago. You could have noted that 30 countries with 530 million people have carbon pricing. You could have mentioned that South Korea has recently implemented a comprehensive climate action policy, including a price on carbon. How did they vote? 146 in favour and 4 abstaining. The German opposition harangues the government for its climate policy – because they feel the government is going TOO SLOW. The US has isolated itself from most countries in the world by adopting an irrational position that will become harder and harder to maintain in the face of increasing extreme weather, melting Arctic sea ice, rising sea levels and ocean acidification. It may take a conservative politician to lead the US out of the wilderness, or people may wake slowly to the facts of the world they live in. Either way, those of us in other countries are watching the long, slow writhings of a powerful beast that is mortally wounded. Politicians of all colours will keep promising to deliver the American Dream, but those times are past for a country where one in ten children live below the poverty line.